We've spent years developing and cultivating a strong company culture that's founded on trust. That's why we've been named one of the 25 Best Medium-Sized Companies to Work For in America. 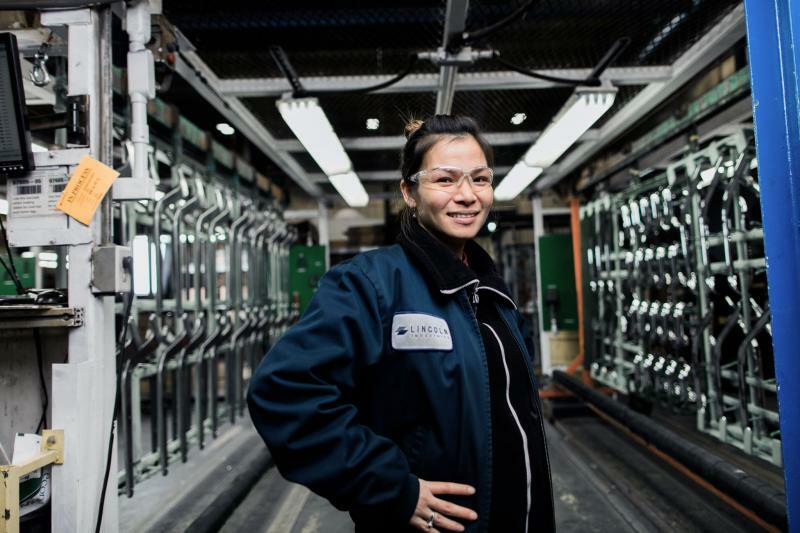 Lincoln Industries believes in building a talent-based organization, which starts by putting each person in a position in which they will be both passionate and successful. By using a deliberate recruiting and selection process, we are able to identify and place top talent to drive organizational growth goals. As a talent driven organization, we seek to leverage and develop each individual’s talents and abilities to enable them to grow professionally and personally during their career with Lincoln Industries. We've spent years developing a strong culture that drives performance and has set a high standard for our industry. That's why we've been named one of the 25 Best Medium-Sized Companies to Work For in America seven times. We live our values each day, it's one of the many things that sets our culture apart. Our Beliefs and Drivers have been at the core of the work we do every day for over 20 years. The Beliefs are the behaviors we value and the Drivers are our guiding business principles - together these drive success in our business. Click here to view a list of our Beliefs and Drivers. One of our organizational drivers is people development because our people determine our company’s success. Learning and Development at Lincoln Industries is unique and available to all our people. Our newly launched Lincoln Industries University (LIU) plays a huge role in the growth and development of each individual. LIU is an in-house corporate university designed to develop leadership and technical skills as well as inspire our people to make personal development a priority. The course curriculum focuses on the areas of superior operations, professional excellence, differentiating leadership and personal growth. We are always creating new opportunities for our people to focus on their interests of today and ambitions for tomorrow. We believe appropriate recognition motivates our people and that communication is essential to building trust. Below are examples of our celebration events and communication vehicles. Encouraging healthy lifestyle choices and a positive balance between work and home life is important to us. Our award winning and nationally recognized wellness program provides many opportunities that motivate our people to be healthier individuals. Click here for more information on our health and wellness program. Lincoln Industries is located in Lincoln, Nebraska. The city of Lincoln shares many of the same qualities and goals as Lincoln Industries. With a population of about 273,000, Lincoln, Nebraska would like to stay small as it gets big. To do this, there is a strong culture of family and education in the community. There are miles and miles of hiking/biking trails running through and around the city, acres of parks and playgrounds and many public and private golf courses, swimming pools, ball parks, campgrounds and soccer fields. The historic Haymarket area has an eclectic scene of shops, restaurants and bars. It is also home to the Pinnacle Bank Arena, which brings in thousands of popular performers from across the world. As this area continues to grow, so does the startup community within it. For more information, visit the Lincoln Chamber's Website. The city has many schools rich with tradition yet progressive in nature. Home of the University of Nebraska-Lincoln, Lincoln has a strong history of research and development. We are also the home of many museums and galleries including the Lied Center for Performing Arts, Sheldon Memorial Art Gallery, Mary Riepma Ross Media Arts Center, Morrill Hall, the School of Music and many more. Lincoln Industries of Minnesota provides a variety of tube and metal fabricated products for markets including industrial, lawn care, motorcycles, ATV & UTV, construction, agriculture, furniture, fluid movement and aftermarket Jeep accessories. To see current listings available in Minnesota click here.